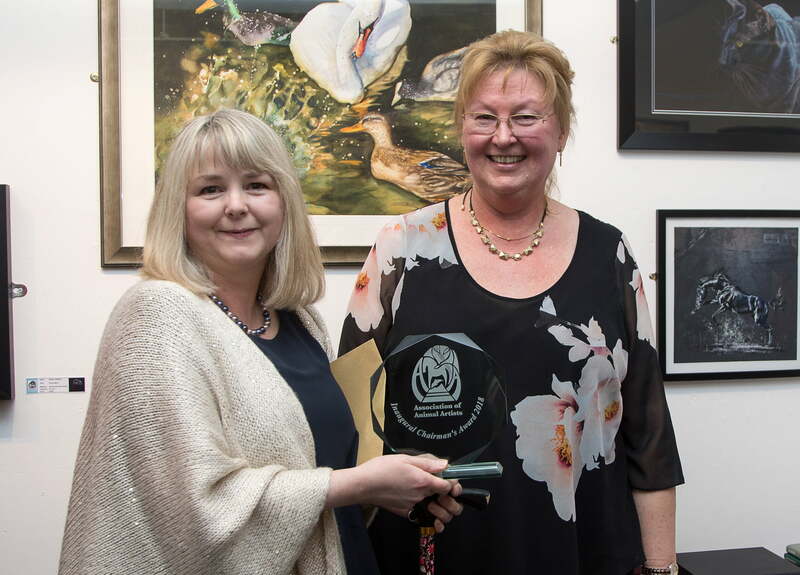 THE Association of Animal Artists held their annual awards evening at Castle Park Arts Centre recently helping raise funds for the British Hedgehog Preservation Society. 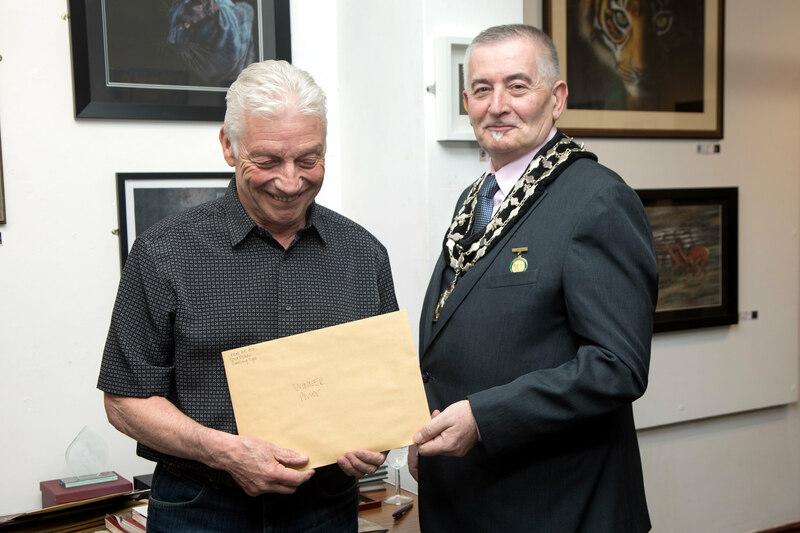 Mayor of Frodsham Councillor Alan Oulton presented awards to the winners and runners up in each of four categories, plus a chairman’s award an inaugural chairman’s award and a prize for the best artist’s sketch book. 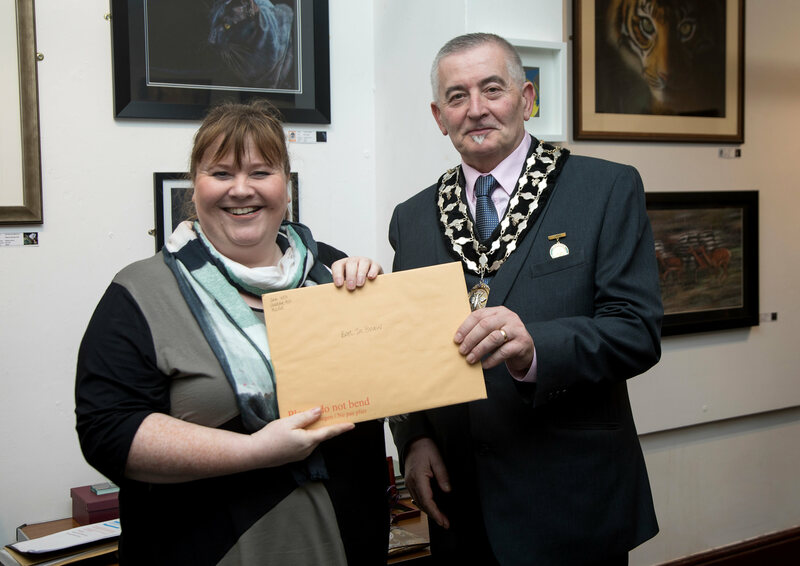 Jim Patterson, of the Two Rivers Paper Company based in Somerset, made the long journey to Frodsham to judge the category for artist’s sketchbook and then presented the prize of some of his beautifully crafted hand made paper to the winner in this category Julie Cross. The exhibition is well worth a visit and open to the public at the Arts Centre until May 13. There are some beautiful animal artworks by very talented artists all members of the Association of Animal Artists. 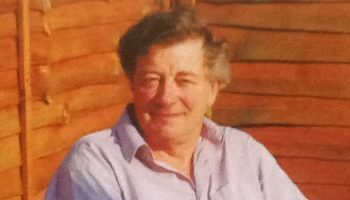 AAA exhibitions openly support animal welfare and wildlife conservation charity partners by giving charitable donations; this year’s charity to benefit from the association is the British Hedgehog Preservation Society. 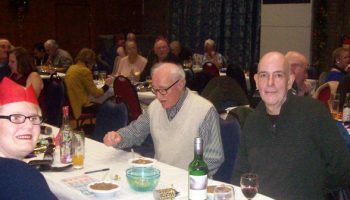 The members also do more for the charities by giving voice to the issues they promote, raising public awareness and helping to celebrate and also preserve the animal kingdom that inspires their art. 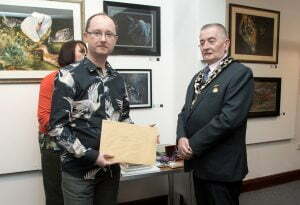 Paul Holmes – Category winner for his painting of Ida. 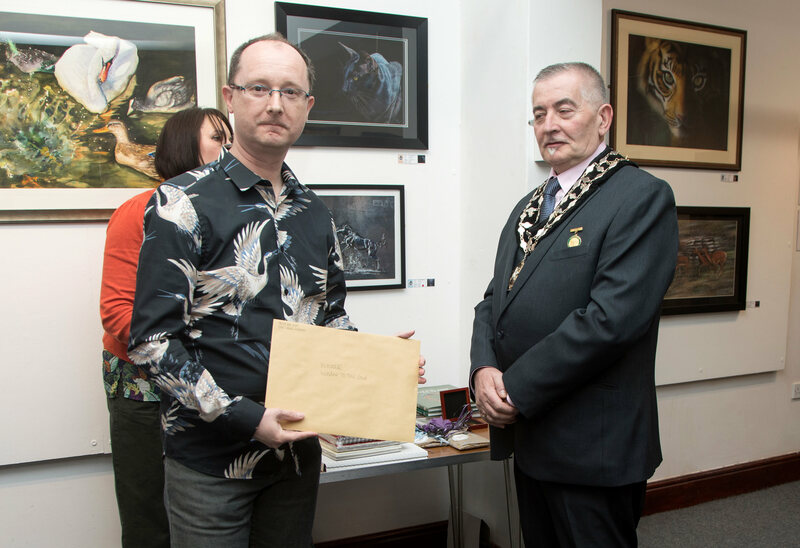 Tony Evans – Category winner for his painting of Prowling Tiger. Julie Cross – Best in Show and Sketch Book prize for Ruffled Feathers. 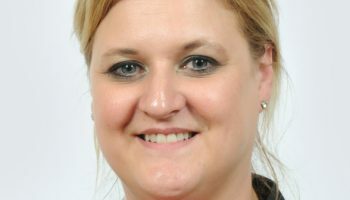 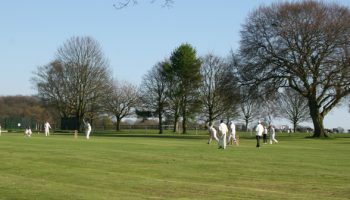 Christina Hopkinson – Inaugural Chairman’s Award 2018.